(East Rutherford) – The Christie Administration is teaming up with the New York Jets this weekend to host a group of children and young adults with autism, their families, and program staff at the Jets football game at MetLife Stadium. 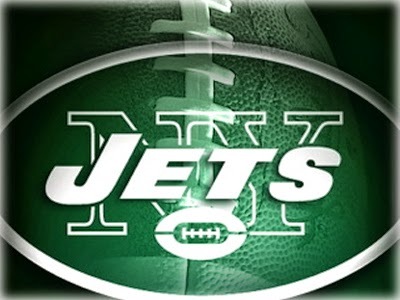 The New Jersey Department of Transportation and NJ TRANSIT are partnering with the Jets for the fourth annual New York Jets Dream Express event that includes free tickets and refreshments for the group courtesy of the Jets, and complimentary NJ TRANSIT travel to and from Secaucus Junction. This year’s event will benefit children who attend the Allegro School in Cedar Knolls and adults living in an Allegro group home. The school serves approximately 105 students ages 3-21 from 10 counties in Northern and Central New Jersey, and another 75 children and adults through its outreach and adult programs. “Fall brings the excitement of a new school year as well as the start of a new football season. The New Jersey Department of Transportation and NJ TRANSIT are honored to work with the New York Jets to give the Allegro students and program participants, as well as their family members, an opportunity to participate in an American tradition and enjoy a fun-filled day at the game,” said NJDOT Assistant Commissioner Anthony Attanasio. “NJ TRANSIT is very pleased to participate with the Christie Administration by supporting an event that will provide children and their families and teachers with an exciting day that will create lasting memories,” said NJ TRANSIT Executive Director Jim Weinstein. "Allegro School is truly grateful for this opportunity. Community access for children and adults with autism is often limited. It is our job as administrators, care givers, and family members to create community-based opportunities. This is neither an easy or simple task,” Allegro School and Programs Executive Director Deborah Lewinson said. “The New Jersey Jets and the New Jersey Department of Transportation have eased this path. As a result I expect the Jets will have a whole new fan group cheering them on and NJDOT will have many new train enthusiasts." About 20 students who attend the school or adults who live in an Allegro group home, along with their family members, and school and program staff members will be attending the game.